Filled pastries are a delicacy and a staple of Arabic cuisine. 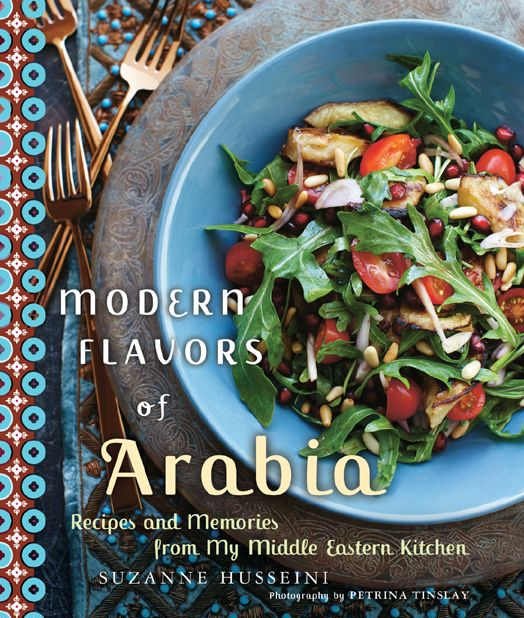 Food historians trace back the origin of empanadas to the meat filled pies of Arabia long ago. Be creative with the fillings. Your choices are endless. The rendition we tried first was with feta and mozzarella cheese. I suspect it will be even more delicious with the ground lamb filling. Extra Hint for this recipe: this recipe will do better for you if you roll the dough out as thin as possible. We rolled it out just a little too thick. Pomegranate Molasses is also an important ingredient. It showed up in more than just one recipe. You can order Pomegranate molasses on amazon.com. In a large bowl, pour in the flour, baking powder and salt. Make a well in the center and add the oil and water. 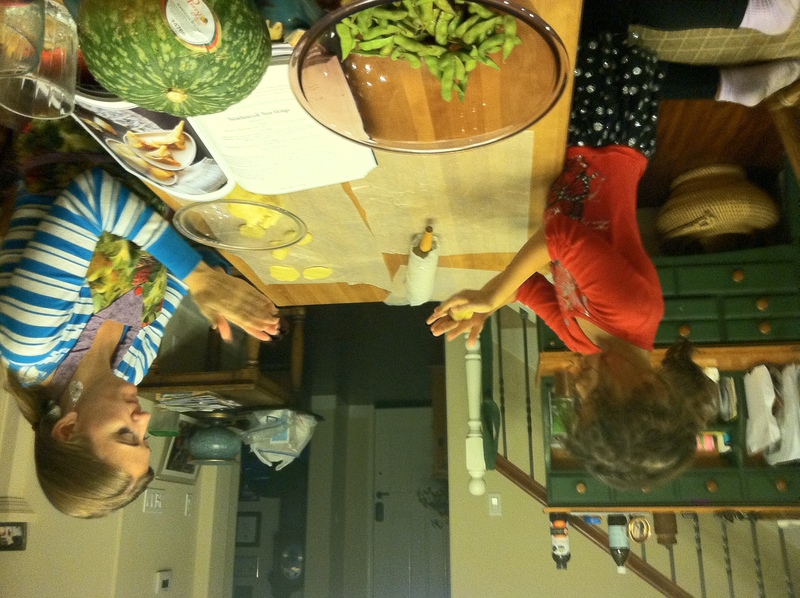 Using your hands, combine to make a soft dough. Knead for two minutes on a working surface until smooth. Divide and form into small equal sized balls, the size of a walnut and place on a tray. Cover with plastic wrap and leave to rest while you prepare the filling. To make the lamb filling, heat the oil in a large frying pan and sauté the onion and the garlic until soft. Add the meat and brown while stirring. Add the spices, herbs, pomegranate molasses, sumac, salt, pepper and pine nuts. Taste to adjust the seasonings. Place in a colander to drain any excess oil. Cool completely before using as a filling for the sambousek. To make the cheese filling, in a bowl mix the feta cheese, mozzarella, egg white and thyme. Take a ball of dough and flatten into a small disk by hand or rolling pin. Place a tsp of the cheese filling in the center. Fold over and press the edges together to make a crescent. 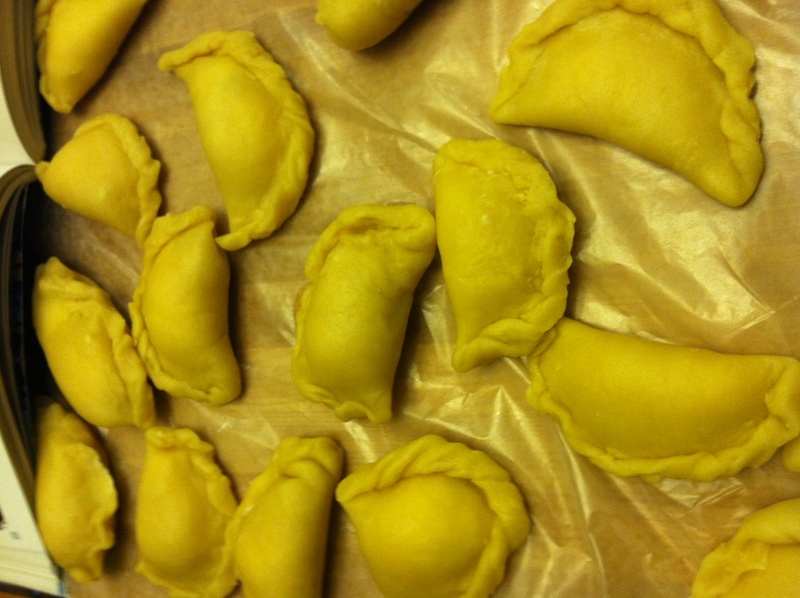 Pick up the filled crescent, and fold and twist to crimp the edges and give it a finished look. For the triangle shape, start with the same round disk. Place the filling in the center and gather the corners to meet in the center to make a triangle. Pinch to seal the three borders. 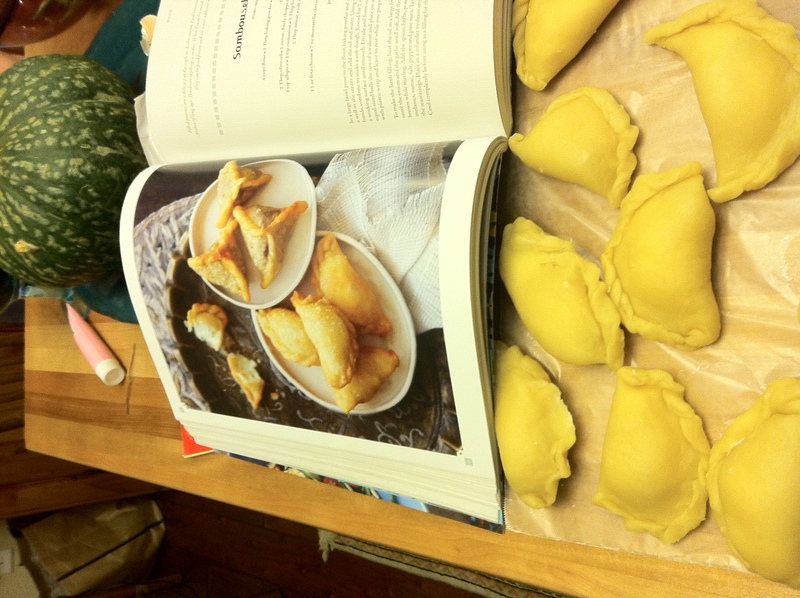 At this point you can freeze the filled sambousek for later use. 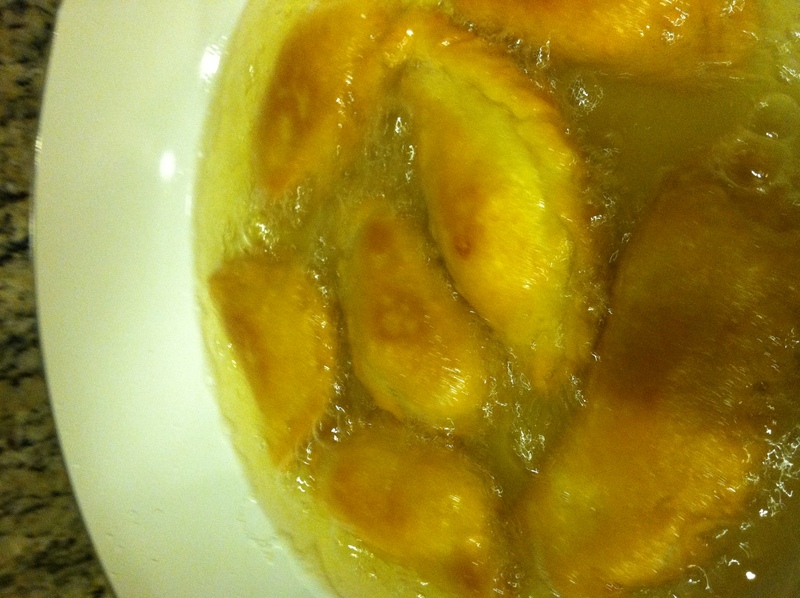 In a heavy bottomed sauce pan, heat the oil to 350 degrees F, and fry 4 or 5 at a time until golden brown and crisp, about 1 minute on each side. SERVE HOT.